The Better Tourism Academy was founded by Better Places and Rickshaw Travel. Better Places is a social enterprise in the tourism industry offering many destinations worldwide. Rickshaw wants to create personal and meaningful travel holidays all over the world. In recent years, Better Places and Rickshaw Travel have had successful cooperation with students who have completed their internship. These were energetic and passionate young professionals that have highly contributed to Better Places and Rickshaw Travel. Sometimes they found better connection with the teaching and practice. With the traineeship these young professionals are offered a unique and great opportunity to take the first step to the labor market. In addition, fresh, energetic young professionals can contribute majorly to the existing businesses in the tourism sector. A win-win situation. We are striving for the tourism industry to be an industry where honesty, transparency and sustainability will be the standard and where locals gain from the presence of tourism as well as the industry contributing to nature conservancy. The young professionals that we train will make a significant contribution to achieving this vision and improving the industry. They are not only able to provide high quality work with regards to travel proposals, communication with customers, marketing and tour operation related tasks. They also know how to make decisions and considerations that are good for people, planet and profit. Responsible travel will be the new benchmark. 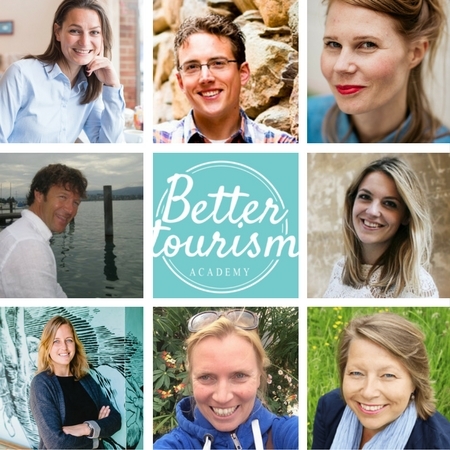 Ine Hustinx is the organizer of the Better Tourism Academy. 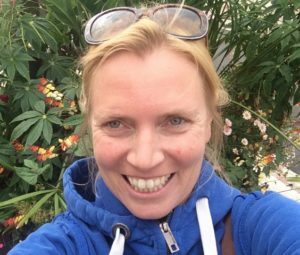 She has 10 years of experience in higher education, where she was a teacher and curriculum developer working in Higher Tourism and Leisure Education. She also has extensive experience with internships and thesis supervision. She has also practical experience in the travel industry, as a tour guide and product manager. The trainers that provide the training sessions in the Netherlands are experts from the tourism practical field. Most of them are working independently and have great entrepreneur skills. They offer a practice oriented training with a focus on their owns specialism. Under supervision of these experts you will also start blogging yourself, developing videos and develop your own website. You will carry out different practical assignments concerning client communication and development of travel proposals. The trainers all have their own specialism which they will share with you.